My Pikes Peak Sports teammate Brandon Stapanowich played mind games in the Summer Stampede 12K. I'm playing mind games now with my training. Everyday I'm trying to figure out ways to get up the Peak. Last week I couldn't make it above tree line but every hill I ran I envisioned was a piece of Barr Trail on the way up Pikes Peak. Silent home. Cat sleeps. Dog sleeps. Cancer sleeps. PET scan came back with NED (no evidenve of disease). Yet I am aware, so keenly aware that cancer can sleep and hide and edge forward when it choses. I dance on the abyss. Stare down its dark face, find my fear, and move on the edge. I will always be moving on its edge. Whatever my choices now, they are made facing the ebony abyss. Linda and Nicole - we made it! Friday night I was debating - 6 a.m. start in Manitou - all the to the top of Pikes Peak or an 8 a.m. start at the Cog Railway taking it half way and then running to the top. Either way, a hard workout was in store. I had friends and acquaintances going on both trips so I was debating if I wanted to leave my wife home with the kids and for how long. 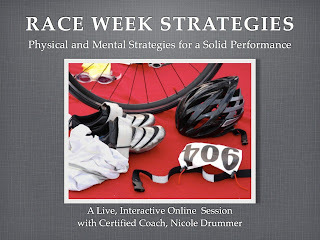 My wife asks: "Are your friends training to win this race?" Anyone know of any good trails to run at high altitude. Looking for something hilly and more than, say, 8 miles....? I am trying to avoid the hassle of driving up the Pikes Peak Highway. Thanks! I hit a low at the 2011 Summer Roundup Trail Run 12K. It happened about 20 seconds after the compacted dirt became asphalt and the course rocketed skyward. I had to walk. Walking isn't the end of the world. 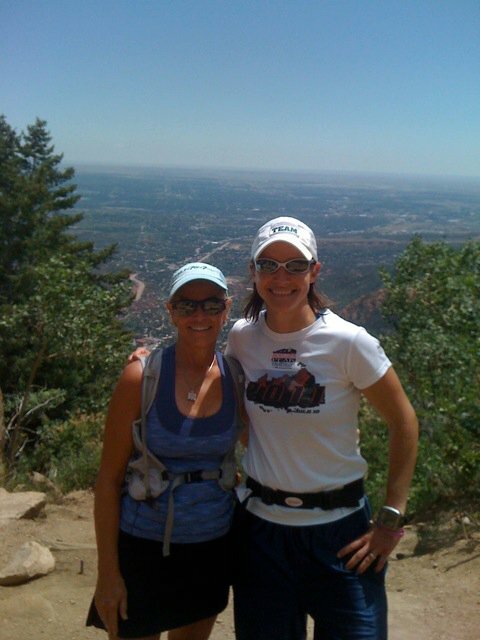 Lots of runners consider walking up hill (especially in the Pikes Peak Ascent) more efficient than running. But for me, I was walking because I felt defeated. The course beat me that Sunday. It has taken me a while to get this out. But after a few days recovery and a vacation I am ready to write. For the past few weeks I have been laboring over something interesting and hopefully informative to blog about - something that someone (even one person! ), particularly as we get older, might find helpful in their running/racing travails. I think it was a post-race proverbial "hang-over" that was completely alcohol free but laced with plenty of ice cream and diet soda. I know, quite a bender. After the Garden of the Gods 10-Mile, I rested for a couple of days. That became almost a week. Then my wife went out of town with the kids. I had good intentions, I really did. But I just didn't run much.